To many (myself included), the world of SaaS sales can seem like a black box — a world with different terminology and mode of operation. 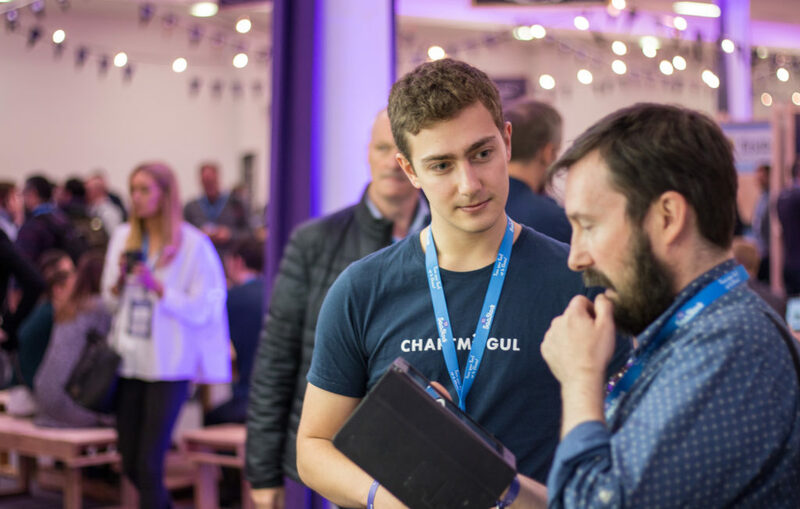 I spoke to ChartMogul’s own Marie Chauvois who joined the sales team completely new to the industry and eager to learn. Ed: Were you specifically looking for a role in sales when you joined ChartMogul? Marie: So, just before ChartMogul I had experience in different startups — the last one was also in SaaS. I wanted to work for a good company, with a product I liked. I had never heard about ChartMogul, but when I researched the company I really liked the product. I’ve always liked entrepreneurship, small data-focused startups and particularly analytics. E: What made you target the SaaS industry? M: I actually didn’t know so much about the tech industry before I moved to Berlin. I have a background in sports and tourism. By being in Berlin you start to become curious about tech and start to realize the importance and impact of SaaS products in every company — for nurturing relationships, closing deals, managing workflows etc. E: What did your first few months at ChartMogul look like? M: At the beginning I was working on outbound — mainly reaching out to companies who had never heard of ChartMogul to catch their interest and try to get them signed up for a trial. It wasn’t the first time I did outbound, so I had the basics already. I actually liked it because it was all about the numbers — trying to optimize the funnel and being data-driven, measuring the success of what you’re doing. This part was interesting. On the other hand it can get a bit depressing because you’re reaching so many people who are receiving cold emails every day, and the vast majority won’t take the time to respond. Right now I’m focused more on the second step — what’s referred to as inside sales. After doing pure outbound for some time, I think you have an idea what people are experiencing every day, receiving so much cold outreach. The result is that you really try to make what you do more personal and connect with people. E: Now that you’re more focused on inside sales — talking to active trial customers using the product — what’s your approach to this? M: Well, I think you shouldn’t try to sell too hard. At the end of the day, you’re here to help these businesses. They come to you because they want to understand their data and they want to drive growth in their business — you’re here to find a way to achieve that. When someone signs up I try to contact them and explain that we’re here to help if they have questions. Once we connect I try to find out why they came to us, what their needs are and their business goals, and then try to see how the product can fit their needs. I’ve worked with sales before, but a completely different kind of sales in B2C. With that, you’re really just focused on persuading people to buy, no matter what. This is a much more considerate approach to that, and that’s what I love. E: Which part of the role do you enjoy the most? M: I really love inside sales! At the end of the day we’re talking to founders, C-level execs, etc. and we get to chat about their business, their needs and the strategies they’re using. You get to learn from every single person you’re connecting with and help them — I love this part and I’ve learned so much in this way! E: What do you think are some important qualities of a SaaS sales person? M: You need to be data-driven and have an understanding of the numbers. There are things that you can learn on the job, like product knowledge, especially the more technical parts like API integrations. etc. Also having an entrepreneurial mindset. You’re dealing with startups and people who want advice on growth. If you have an inherent interest in these topics it really helps. E: What about actually closing a deal? Is there a point where you really have to switch gears and start pushing them a little bit? M: Yes, once they realize the value of the product. You’ll always have people who really push for a discount or trial extension once they know the product’s value. 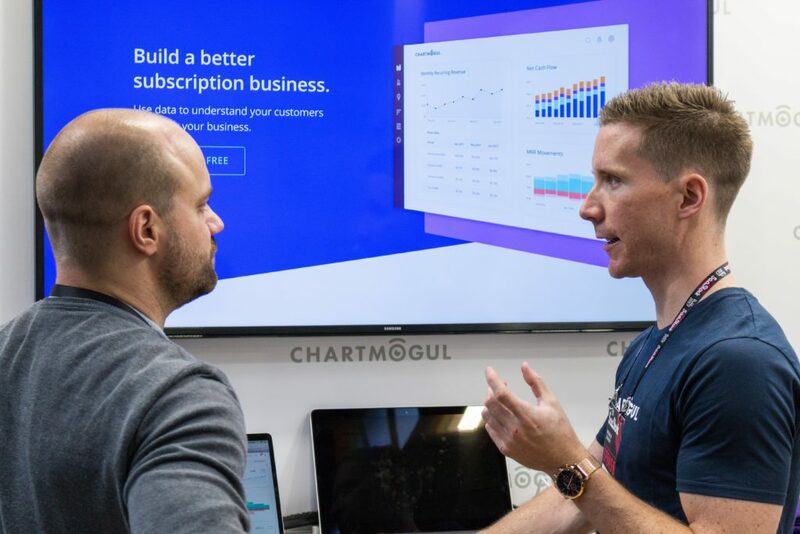 Our pricing at ChartMogul scales based on the company’s revenue and size, and we’re always looking to find a fair deal for customers. Honestly it’s more like 80% is convincing them of the product’s value. If you can do that successfully you really don’t need to sell very hard because they’re already sold at that point. E: Has your view of doing SaaS sales changed since you started? M: I really didn’t know anything about SaaS in the beginning, so it’s hard to say. I actually saw SaaS as this super boring world of software companies! I didn’t know about all of these interesting businesses and products that exist today. I think my view has changed from the cliché SAP- and Salesforce-oriented view to all of these exciting young startups. E: Is the sales process in SaaS how you expected it to be? M: I really expected it to be a bit less human and more impersonal — definitely highly technical, data-driven but not so much of a human element. E: When it came to learning about sales, is there anything you read that helped? M: Before interviewing at ChartMogul I was doing a of research on the blog, reading SaaS metrics articles. The blogs of David Skok and Christoph Janz were really helpful, I did a lot of reading about the subscription model and how each of the metrics relate to the growth of the business. Predictable Revenue by Aaron Ross was a nice book — it really showed me how to be data-driven in sales. E: Any favorite tools that you use day to day that help you in the role? M: I make a lot of notes. In each sales call I have my list of points, like a checklist. I have it all the time, and I go through it — not in order — but I try to make more of a natural conversion, and I try to hit every one of those items on the call. I just write it on paper. It’s just something I’ve always done! I don’t want to become a robot when it comes to discussions with clients. Before a call, I prepare by writing the name of the company and the person I’ll be speaking with. Then I add all the info I already have for the company, and highlight any things that are missing that I need to find out in the call. E: So it’s like a puzzle! M: Yeah! I usually have all the pieces in my head, but I like putting it on paper too. We spend all day typing on the computer and we don’t really write any more. So it’s a nice change. E: What’s the biggest common mistake people make in SaaS sales? M: Speaking too much and not listening enough! It’s hard because when you’re in sales you’re generally speaking a lot and you’re so excited about the product. But you need to listen, otherwise people just feel like they’re being sold to — which they are! But it’s just not engaging for them. 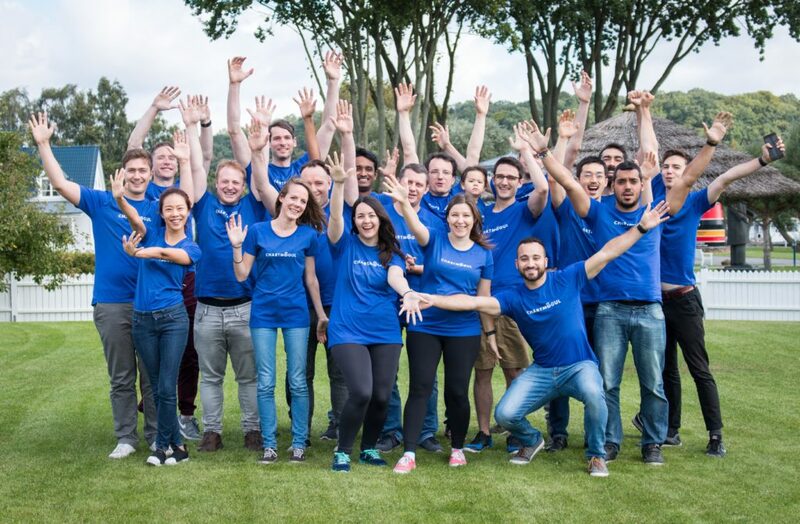 Come and work with talented, passionate people on hard problems in the analytics space. Check our jobs page for current openings in Berlin and Toronto.